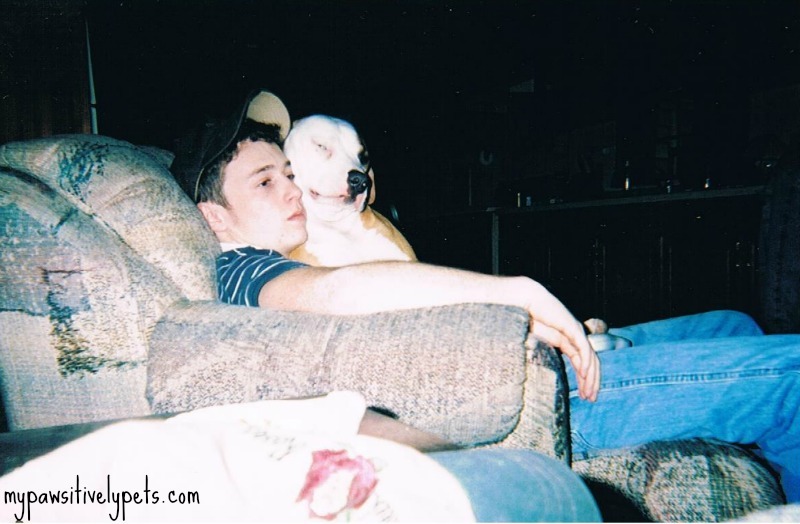 So as promised, I have more adorable photos of Shiner as a young pit bull lady dog. Most people are surprised to learn that Shiner is now 10 years old it seems. Last week during a walk, a man asked if Shiner was a puppy. I told him "Nope! She's 10 years old!" Shiner was pleased with her compliment. I thought it was comparable to being carded for alcohol when you are definitely old enough to make the purchase. So enough blabbing and on with the pictures! All the photos are from 2004. 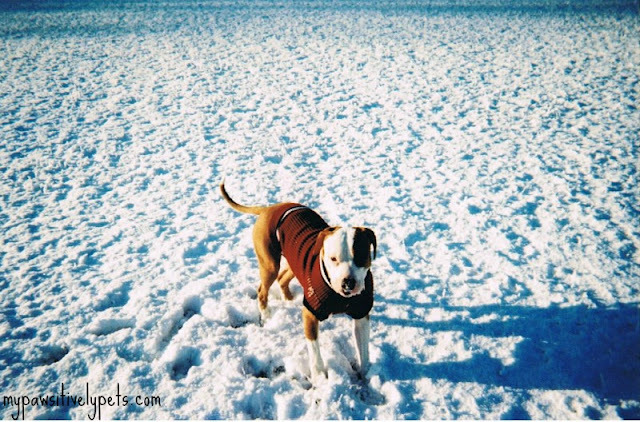 Shiner is about 10 to 11 months old in this picture. We don't get snow much... but this was a good year for snow. 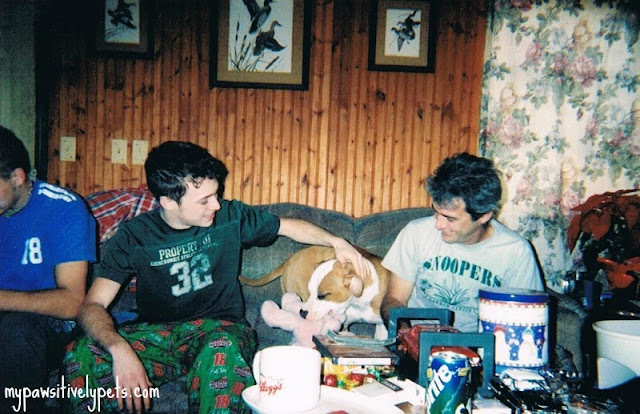 This is happy Shiner with a stuffy toy on Christmas sitting in between my brother and my dad. One of Shiner's favorite humans in the world is my brother - her uncle! He always lets her sit on his lap like this, even today. If you haven't entered to win a year's supply of Nutrish dog food, click the image below to join the contest! Thanks for stopping by and hope you enjoyed the photos! 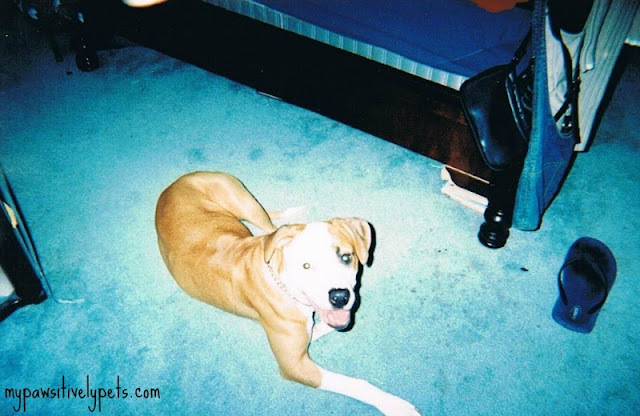 The Wordless Wednesday Blog Hop is hosted by BlogPaws. I just love Shiner! I love the analogy to her getting carded. ROTFL! Awwww so cute. Have a wonderful Wednesday. Cutie puppy! Shiner does look young. What a cute pup! And now you are a beautiful Lady, Shiner. I'm just pondering what I did in 2004 ...hmmm...no idea, I can't remember. Have a great wednesday! Once a cutie always a cutie! Awww Shiner is just so precious! MOL! She got carded! Shiner, looking good girl! OMD! 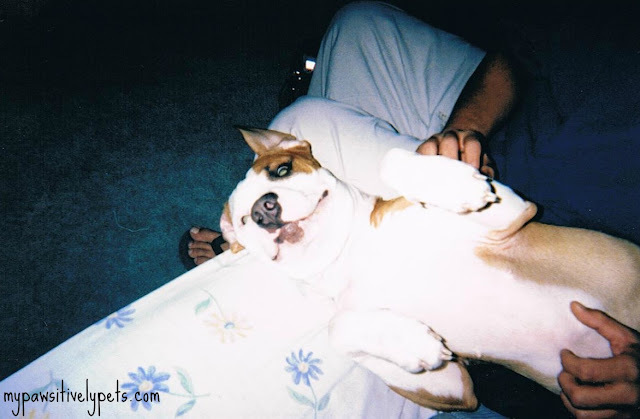 The belly rub photo is the BEST!!!!!! ya noe, we think ewe haz finded de sekrit ta de fountins oh yooth !! Shiner is gorgeous!! I do love the first picture. She has a beautiful smile. I love the old photos of Shiner! I don't think she looks 10 years old now either....she has a beautiful coat, and looks in such great shape. Awww! The lap-sitting pic is too cute! Sweet shots! Lucky you getting some snow.....that's on our doggy Bucket List!! !